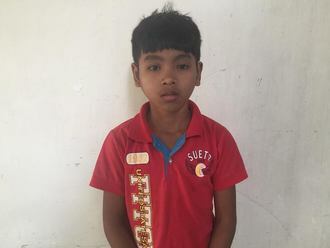 Veasna from Cambodia raised $390 to remove a protrusion from his nose. Veasna's treatment was fully funded on September 24, 2015. Veasna received surgery remove the protrusion from his nose. Veasna has a meningoencephalocele (MEC) on the ridge of his nose, which is a sac of fluid or tissue that protrudes through his skull to create a visible bump. Because of the bump on his face, Veasna feels very shy in public and at school. If left untreated, the protrusion could lead to various health complications when Veasna is older and it may interfere with his vision, tear ducts, and sinuses. 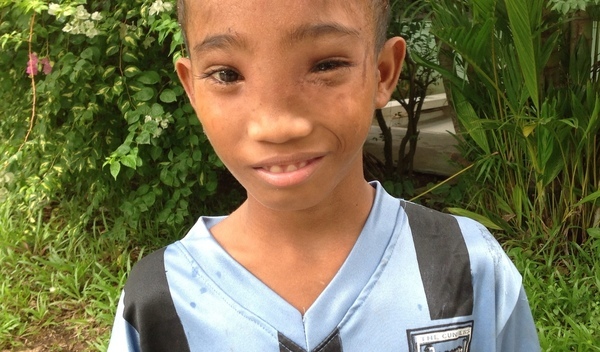 $390 will fund a surgery to remove the bump on his nose and repair the hole with a bone graft to reconstruct the area. Additionally, these funds will cover post-operation care from a physical therapist and a two week stay at the hospital. 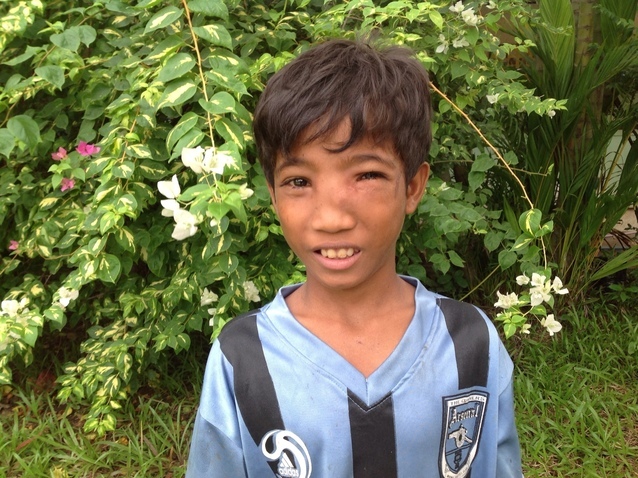 After surgery, Veasna will no longer worry about the bump on his nose and will feel more comfortable at school. Veasna's case was submitted by Hannah Callas at Children's Surgical Centre in Cambodia. Veasna was submitted by Hannah Callas, Stakeholder Relations Officer at Children's Surgical Centre, our medical partner in Cambodia. Veasna received treatment. Medical partners often provide care to patients accepted by Watsi before those patients are fully funded, operating under the guarantee that the cost of care will be paid for by donors. Veasna's profile was published to start raising funds. Veasna's treatment was fully funded. We received an update on Veasna. Read the update.